Miss Sangwon Yoo has been awarded the best student talk for her presentation Developing a novel methodology to quantify myelin and functional gait dynamics in the cuprizone model of de- and remyelination, delivered at the Australasian Neuroscience Society meeting in Sydney December 2017. 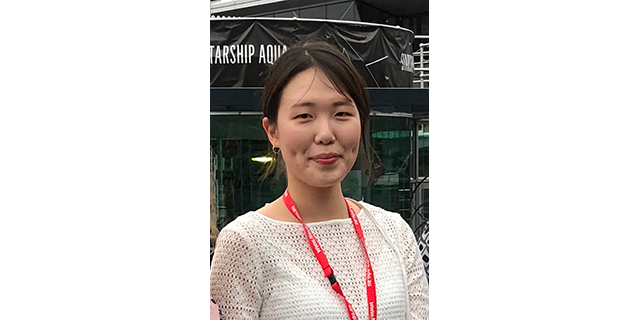 Sangwon did her Honours degree within the Murray-Xiao Laboratory at the Department of Anatomy and Neuroscience in 2017 and will undertake her PhD research commencing in 2018 with Drs Junhua Xiao, Simon Murray and David Gonsalvez. We congratulate Sangwon on her achievements and wish her success with her research and career aspirations.